We take a closer look at five unmissable games for Saints fans in 2019. Following the release of the 2019 Toyota AFL Premiership Season fixture, we take a closer look at the five unmissable games for Saints fans in 2019. This season will see the fourth iteration of the annual Maddie’s Match played between St Kilda and Richmond in honour of Saints legend Nick Riewoldt’s late sister. Alan Richardson’s side will be out for revenge after the Tigers emerged 54-point victors in the same fixture in 2018. Richmond's win in Round 18 this year put them ahead (2-1) in the Maddie’s Match tally, but when Marvel Stadium is once again drowned in a sea of purple, anything can happen. St Kilda was the first club to take a match for premiership points international after their foray into New Zealand, but unsuitability of venues across the ditch has expanded the horizons for football abroad. For the very first time, the Saints will head to Shanghai to face Port Adelaide in their now annual China fixture. Shanghai 2019 shapes as a lucrative prospect for St Kilda, having committed to a three-year agreement with Port Adelaide, the Victorian Government and the AFL. Saints fans can witness history and watch their side play its first game for premiership points in Asia by registering their details at shanghai2019.com.au. The Blue Ribbon Cup is always a special encounter, but following the fiercely-fought 2018 edition, the annual match between the Saints and the Hawks seems to have gained momentum. Played out just days after the 20th anniversary of the Silk-Miller shootings, the Round 22 clash saw the Saints push the Hawks right to the end, eventually going down by just four points. The Round 4 re-match will be Brett Ratten’s first look at his old side from the St Kilda coaching box and caps off an important opening four rounds for the Saints. Jimmy Webster will play in front of a hometown crowd in Round 16. 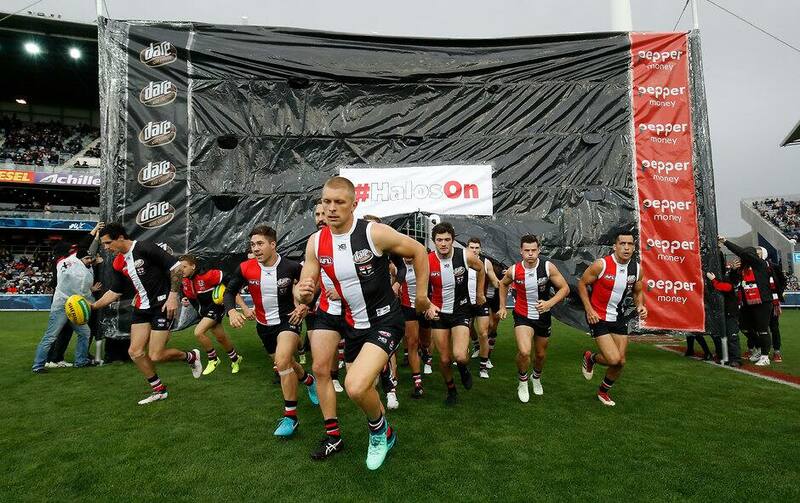 For the first time since 2015, Hobart-based St Kilda fans will get the chance to see the red, white and black in the flesh when the Saints take on North Melbourne at Blundstone Arena. St Kilda has strong links to Tasmania, with some of its greatest players born there including Ian Stewart, Darrel Baldock, Nick Riewoldt and Verdun Howell. The Apple Isle clash also acts as a homecoming for the sole Tasmanian currently on St Kilda’s list, Jimmy Webster, who grew up just 30 minutes outside Hobart. The two sides will meet twice in 2019. First at the MCG in Round 5, before facing off three months later at Marvel Stadium. Last time they met, it was the good guys that emerged triumphantly, the Saints holding off a late Demons surge to win by two points in a thriller the MCG. While Saints fans will be eagerly anticipating the Round 19 Saturday night blockbuster at home, Jade Gresham will be eagerly awaiting the MCG clash, where he’s kicked 10 goals in his last two outings.